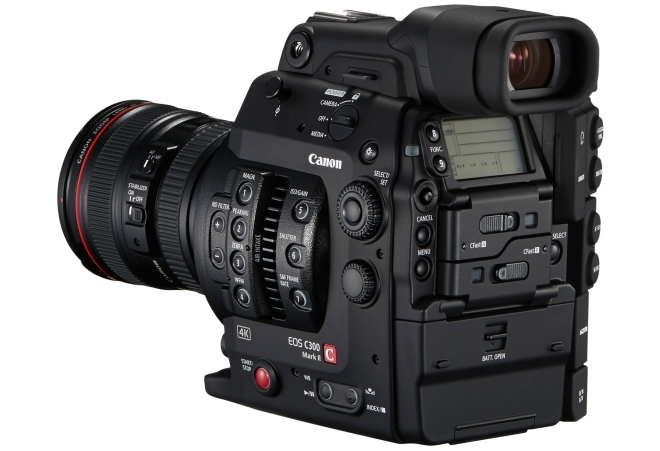 The C300 Mark II has a new 8.85 megapixel super 35mm CMOS sensor coupled with Dual DIGIC DV 5 image processor. Canon has also developed a new XF-AVC codec that allows recording 10-bit 4:2:2 4K image internally without having to rely on an external recorder. The sensor is capable of shooting up to ISO 102,400 and sensor readout has been sped up by two times over the previous one to reduce rolling shutter distortion. The camera can record in Full HD (1920×1080), 2K DCI (2048×1080), 4K UHD (2840×2160), and 4K DCI (4096×2160), all of which can be recorded internally on CFast 2.0 memory cards or output to an external recorder through built-in 3G-SDI ports. The camera supports the new Canon Log Gamma 2 profile that allows headroom for color grading in post. The camera also has extremely wide 15-stop wide dynamic range so you can be sure to capture all the details in the bright and the dark areas. The camera also supports Canon Dual Pixel CMOS AF over 80 of the total image area. 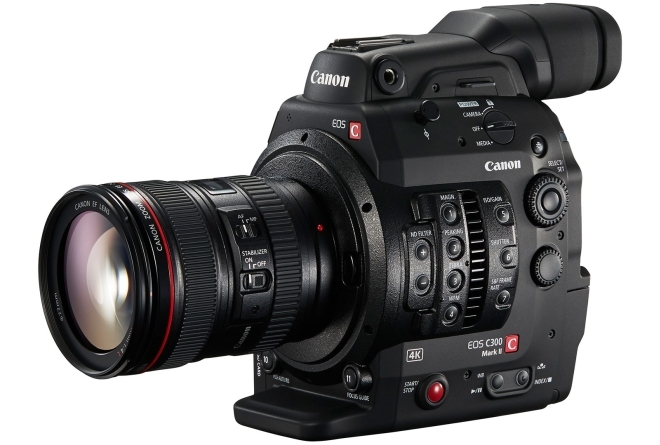 Unfortunately, all the quality and performance does not come for cheap and as is usual for Canon Cinema cameras, the C300 Mark II comes with an eye watering price, $16,000 in this case. This is certainly not a camera for anyone other than the absolute professionals and the price tag makes it perfectly clear.